Tired of sniffling your way through allergy season or living in a cloud of pet hair? An air purifier can help keep the air in your home cleaner and safer for your health. But since a high-quality air filter is a bit of an investment, you’ll want to pick one that’s right for your home and family. We can help! Check out our air purifier reviews below to learn about our favorites! Want an air purifier that does it all and looks good while doing it? This Rabbit Air purifier has you covered. Multiple air filter layers to combat multiple issues, including a HEPA filter (for very small particles), a carbon filter (for odors), and a customizable filter for individual needs. There’s a lot to like about this air purifier. It’s a great solution for those who need to cover a large area, combat allergens, and reduce odors all at once. 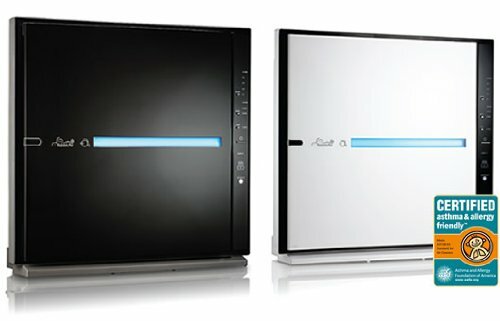 And as one of the most stylish purifiers on the market, it’s a good choice for the more design-conscious consumer. The main downside? Price. This air filter will set you back about $600. We think it’s worth it for people who need serious filtering, but you might want to try another option on our list if you’re on a tight budget. This air purifier is more affordable than the Rabbit Air and still incredibly capable. It’s not as stylish, and it doesn’t cover as much space (361 square feet as opposed to Rabbit Air’s 815), but it is a solid alternative if you’re looking for something simpler and not so pricey. 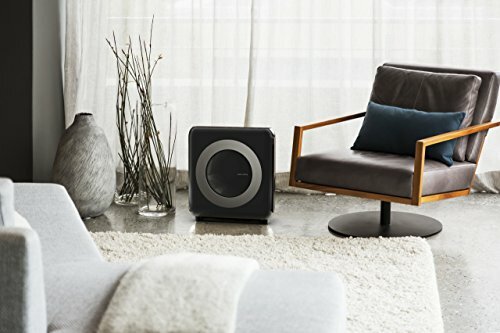 The Coway is great for those who need an air purifier for allergies and asthma, but not one that has to combat serious odors or cover huge spaces. Plus, it’s less than half the cost of the Rabbit Air, which makes it a great pick for those who need to spend less. The only real drawback is that it covers much smaller areas—however, 361 square feet of coverage should be enough to cover most normal sized bedrooms or living rooms. An air purifier can’t eliminate the health consequences of smoking tobacco, but the right one can do a lot to eliminate unpleasant odors and improve air quality in your home. Includes HEPA filter for small particles, a pre-filter for larger things like pet hair, and a medium filter for everything in between. Got smelly pets or a tobacco smoker in your home? This purifier’s extra-large activated carbon filter can do a lot to eliminate odors in your home. However, it costs about $600, so it isn’t for everyone. 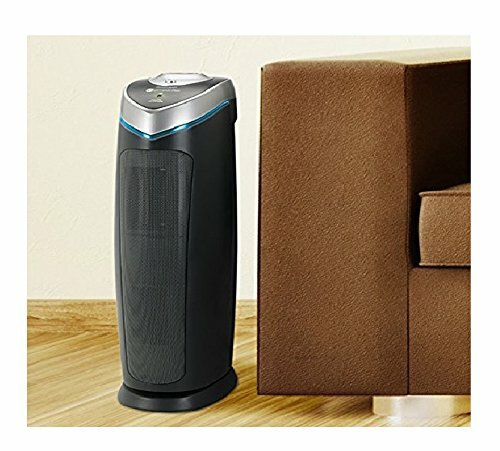 Not everyone can spend triple digits on an air purifier. If you want cleaner air but don’t need to worry about serious allergies or odors, the GermGuardian should be able to cover your needs. The GermGuardian is probably the purifier for you if you’re on a tight budget. It has a true HEPA filter to combat allergens and a UV-C light to kill germs. It won’t cover as much space as the Rabbit Air, monitor the air quality for you, or have a huge impact on odor, but at less than $100 it is still a great investment for those that need to breathe fresher air. What should you look for in a home air purifier? A HEPA filter: Every air purifier we recommend comes with a High Efficiency Particulate Air (HEPA) filter, which is a replaceable filter that is 99.97% efficient when filtering anything larger than 0.3 micrometers. Activated carbon: Carbon filters are particularly good at eliminating odors, so if you’re worried about smells, look for a purifier with an activated carbon filter. 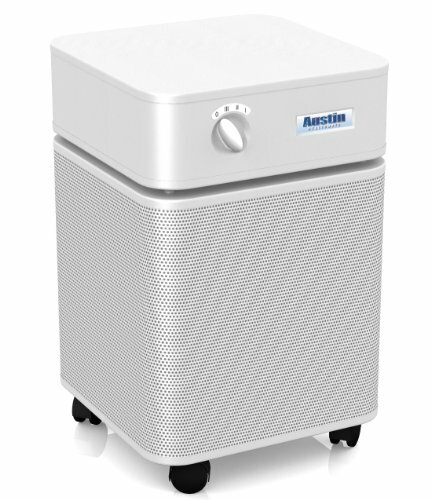 A washable pre-filter: Almost all air purifiers include filters that have to be replaced periodically. However, if your purifier also has a permanent washable pre-filter, it can catch larger particles and extend the life of the temporary filters. Energy efficiency: Many of the filters on this list can automatically detect air quality, which allows them to run only when needed instead of all day long. How do you keep the air clean in your home? Do you have any tips for eliminating allergens, odors, or germs? We’d love to hear from you. Share your tips in the comments below!